Here is a super maintenance tip to keep your dishwasher working the way you want and keep the washing machine working at a 100%. T.S.P. in powder (Granular) form is a versatile, effective cleaner that works on everything from laundry to garage floors. 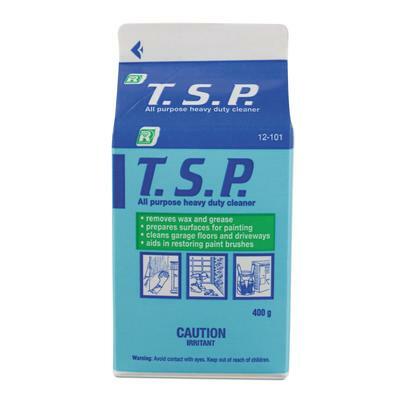 Known for years by professional painters as an excellent grease remover from walls, T.S.P. is a household necessity. Here are just a few of the uses for this powerful cleaner: General Household Cleaner: 1/3 cup of T.S.P. dissolved in a bucket of water is excellent for washing kitchen and bathroom floors and removing finger marks and grease from walls. In the Workshop: Add ½ cup of T.S.P. to a bucket of water and wash down walls in preparation for painting. In the Garage: A thick paste of T.S.P. applied to oil and grease stains on garage floors and driveways will lift the grease and rinse away. Now you have read the aforementioned, how does it help dishwashers and washing machines? Simple, fill up the soap dispenser, run your dishwasher & washing machine through a wash cycle using TSP and it cleans the plumbing and pump of all the sludge build up from the soaps etc. Clean plumbing gives better circulation and with better circulation, your dishes and cloths come out cleaner. Simple, effective, cheap to buy.